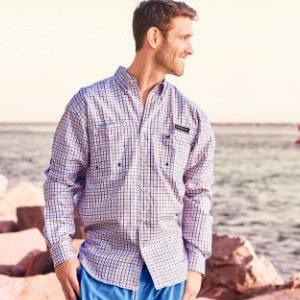 We love the guys in our lives and want to provide the perfect St. George Island men's clothing selection to suit their needs. Which is why we chose designer clothing brands such as Southern Marsh, Coast, Johnnie-O and Lucky Brand denim. Not only do we have resort wear, we have everyday wear for our men as well. High quality, versatile and practical, these brands have all the features you need to enjoy a casual and carefree time on Florida's Forgotten Coast. Authentic southern class...highest quality products, out of the best materials. COAST brings the coastal experience of weekends and summers at the beach to everyday life, throughout the year. High quality golfing and leisure apparel for the everyday man. Iconic American denim by Lucky. 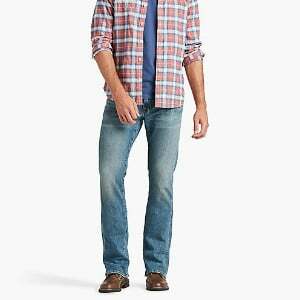 Check out our extensive selection of men's denim at Southern Cotton.